This is called Rosehip because initially it was thought it had virtues t core hydrophobia contracted by the bite oh a dog. The flowers, delicately fragrant, consist of five pale pink petals and numerous yellow stamens; they bloom separately or in corymbs. The fruit, called rose hips, are made up of hairy achene with hard Polycarp, enclosed in a false ovoid fruit. 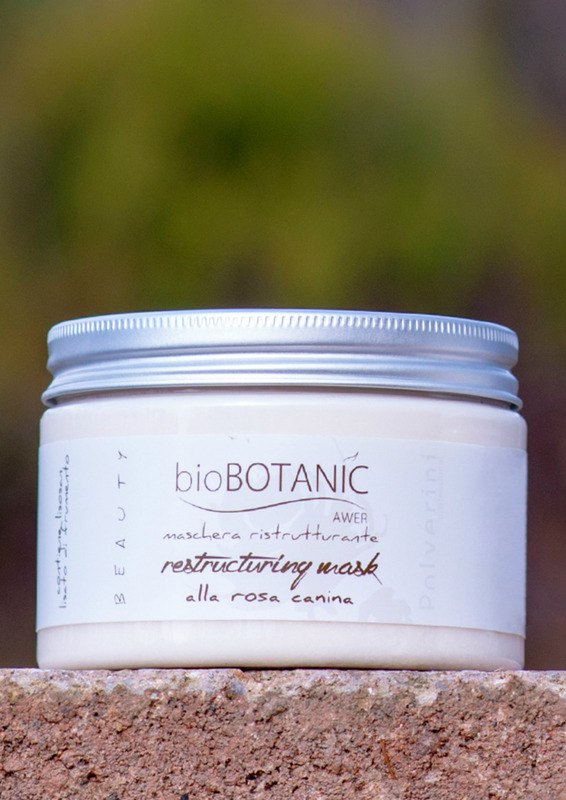 The wild rose is known for its purifying, restorative and energizing action. For topical use the plant is known for its antiseptic, astringent and healing action. For use on all types of natural and treated hair but above all very treated hair. After thoroughly washing your hair and removing all traces of shampoo, proceed with the application of the mask on damp hair. Accommodate the client at the workplace, apply an amount of product equal to a walnut; however, the recommended dose is subjective and depends on the length of the hair. Comb and use a climazone heat source or vaporizer for 10 minutes, then rinse.